Twice as long with capacities up to 24,000 lbs. Double the length of standard lifts with a single piece platform to smoothly lift and lower longer loads. Lifetime lubricated bearings, double-wire braided hydraulic hoses and velocity fuses reduce maintenance required. A poly oil reservoir allows visual check of oil levels. Sturdy electric motor is internally mounted. 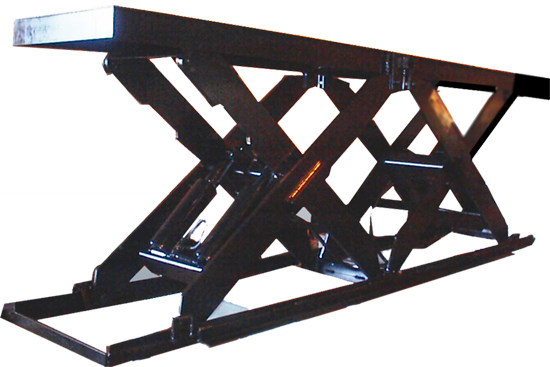 Capacities from 4,000 to 24,000 lbs. Vertical travel distances ranging from 24" to 60"